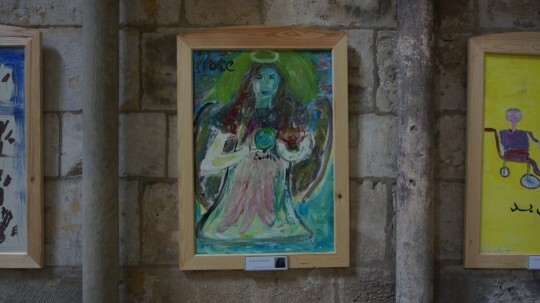 The leadership in the cathedral in Rouen wished for a Peacepainting exhibition in connection with the celebration of Olaf’s baptism in 1014. Olaf the Holy was indeed baptised here 1000 years ago. The event and the training he received in France now strongly influence Norway. 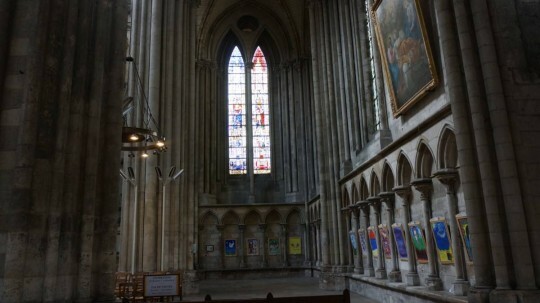 In the middle of October there were church services, concerts, talks and other markings of the anniversary in Rouen, with many Norwegian participants. Catrine Gangstø and Randi Størseth were there to arrange the exhibition and document the associated work. At this marking, with this exhibition Peacepainting participates in promoting the idea of peace, and it focuses at the same time on the wish for peaceful coexistence across cultures in today’s picture of the world. 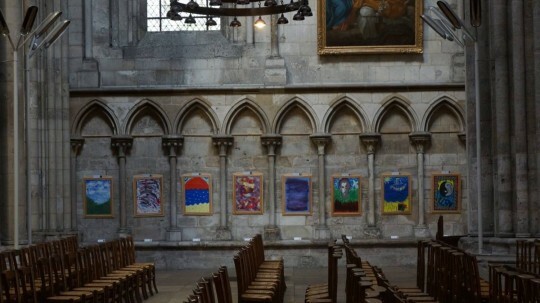 The exhibition shall hang in the cathedral the rest of the year and will create activities around the theme. Photographer Randi Størseth from Trondheim is making a presentation film.